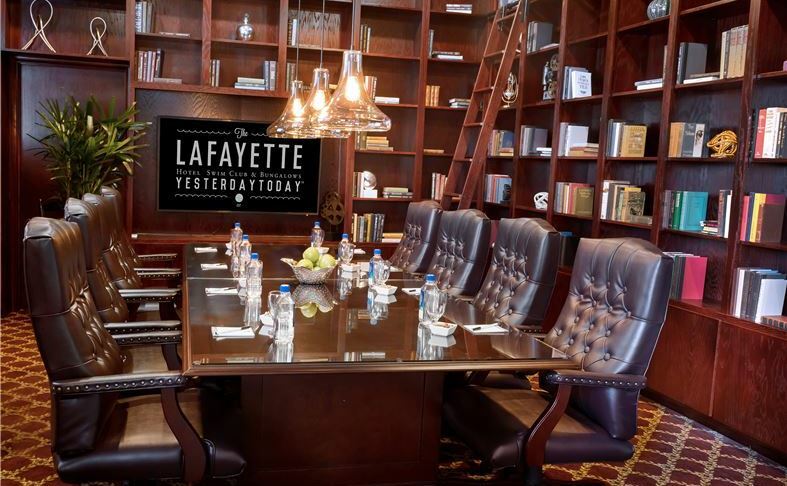 The Lafayette Hotel has nine unique event venues offering 15,000 sq. 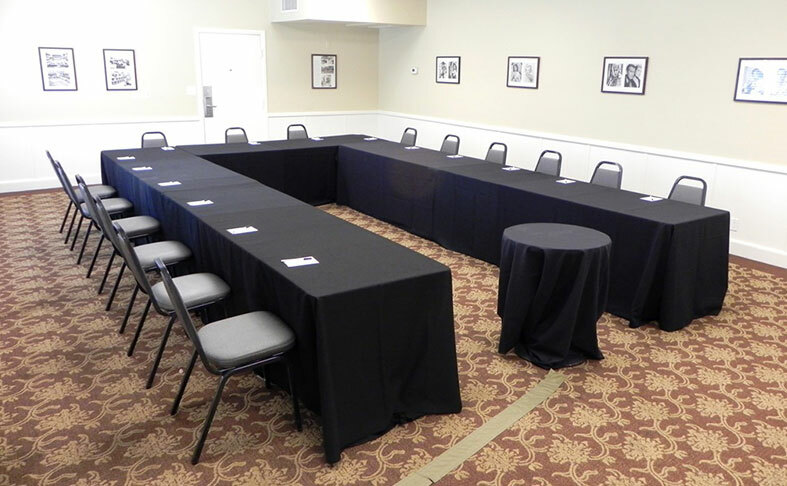 feet of versatile space for groups of up to 525. 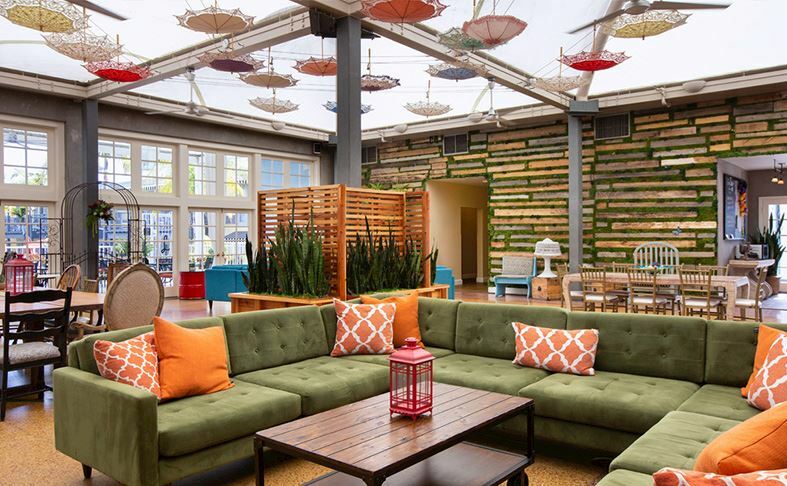 From the whimsical Conservatory that spills onto the veranda and the elegant Louisiana Ballroom complete with it's own private courtyard to the historic Weissmuller Pool with private cabana, we can help you create any ambiance. 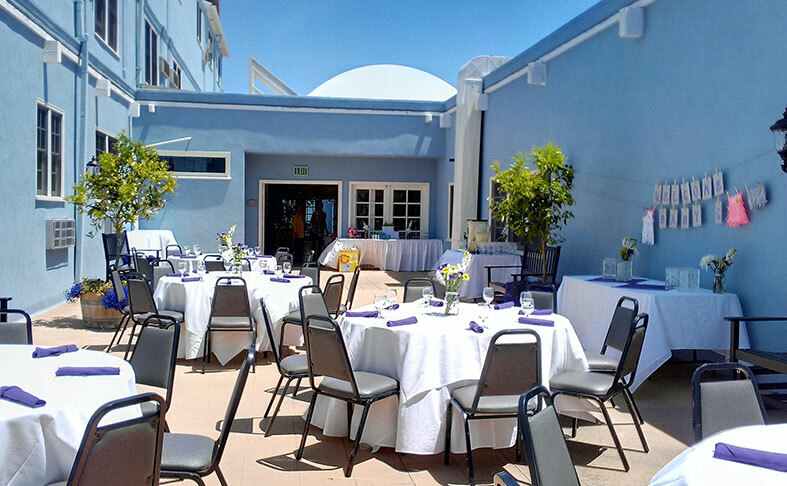 Free Wi-Fi, the latest A/V technology, custom menus, and event planning services are even more reasons to reserve your event at our affordable San Diego meeting venues. 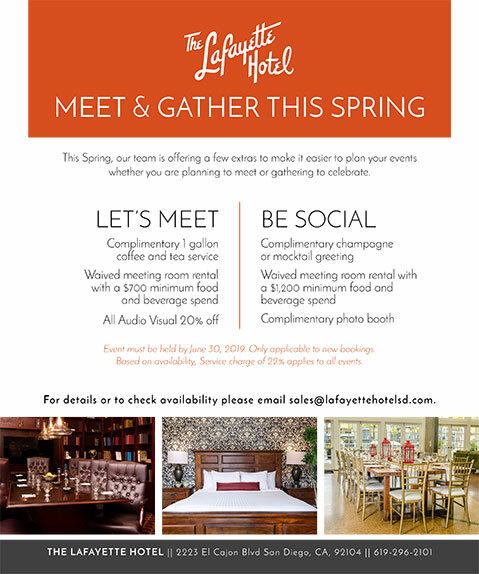 So why settle for a bland meeting or event when you can infuse it with a dash of retro chic glamour? 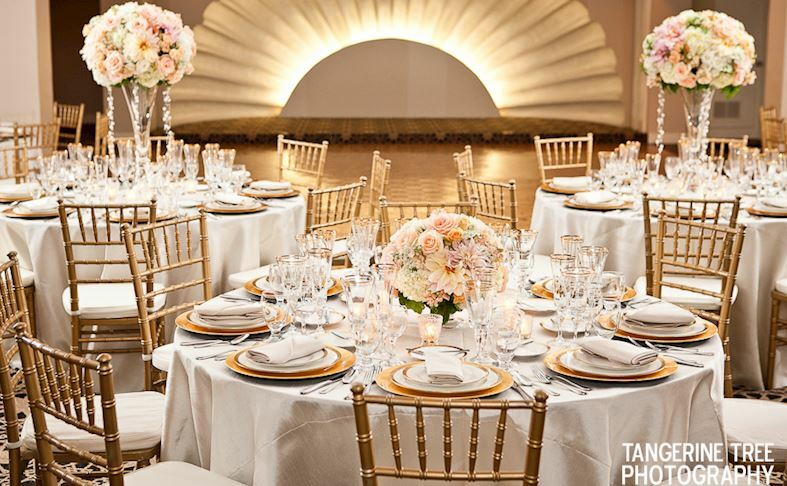 Our largest and most elegant ballroom, this venue lets your imagination soar in 5,200 square feet of versatile space. With room for up to 525 guests, this venue does it all - elegant receptions, large business gatherings and unforgettable social gatherings. Our planners will help you create the ultimate event. Spread out in this thoroughly updated 1,679-square-foot venue, complete with inspiring floor-to-ceiling french doors that flood the room with natural light. Perfect for up to 160 guests, this versatile space is ideal for fanciful dinner receptions, important business meetings or anything you can dream up. Want to channel your serious side? Our newest venue space is the perfect spot to escape into a sophisticated atmosphere. With a comfortable 400 square feet of rich wood decor, plush leather seating for eight and classic novels adorning the bookshelves, this is the ultimate grown-up spot to get things done. Add a touch of whimsy to a social event or business reception in this airy, spacious 2,025-square-foot venue. From the decorative umbrellas suspended from the ceiling to the floor-to-ceiling French doors overlooking the veranda, this is the perfect spot to entertain large groups of up to 200 guests. 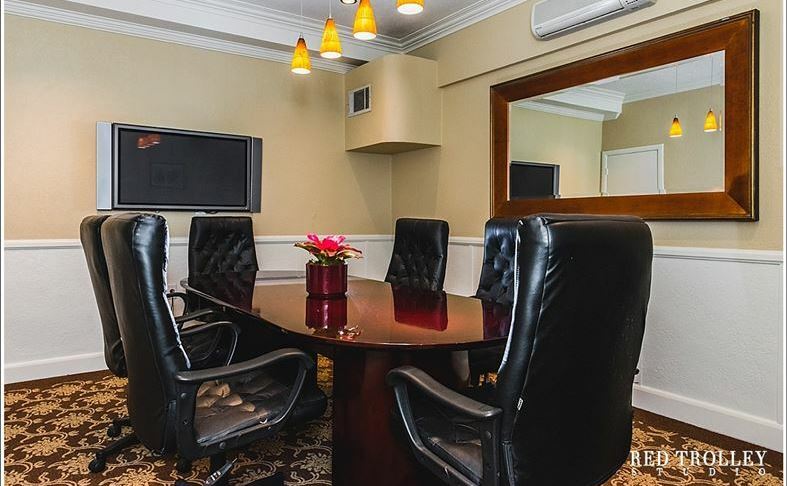 Get down to business fast in this simple yet effective meeting room that delivers 180 square feet of versatile space and the latest A/V technology. A large conference table and seating for six makes this the ideal spot for brainstorming sessions, corporate meetings or a secret spot to gather with family and friends. 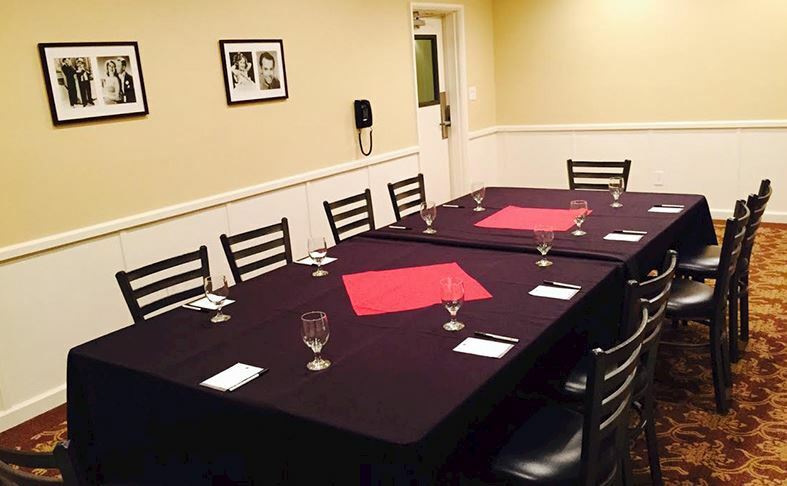 Offering guests a comfortable 280 square feet of space and adorned with classic Hollywood photographs, this is the perfect spot for small meetings or social events for up to 30 guests. The Bourbon Room has hosted everything from fantasy football draft parties to board meetings. How will you use it? Spread out in 693 square feet of space flooded with natural light from two large, south-facing windows. 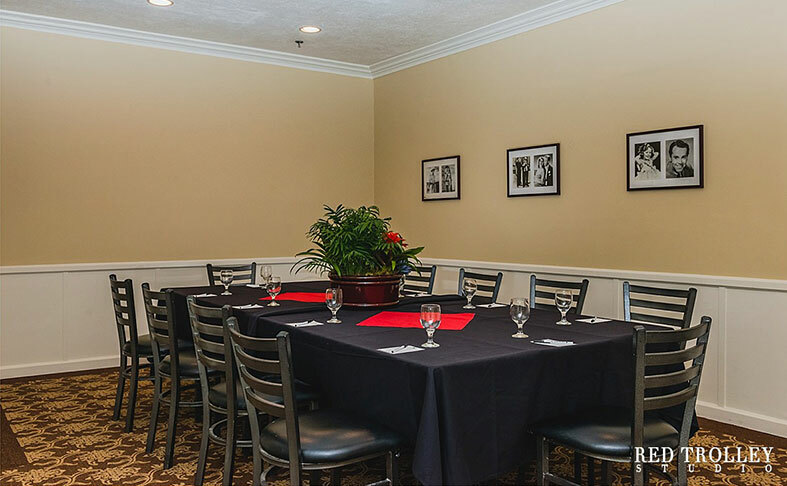 With seating for up to 50 guests, this is the ideal spot for important business meetings, pre- or post-event receptions or social gatherings. The latest A/V technology covers all the bases and offers endless options. The Bourbon Room's big brother, this spot offers 384 square feet of space plus a massive 72" flat screen TV. 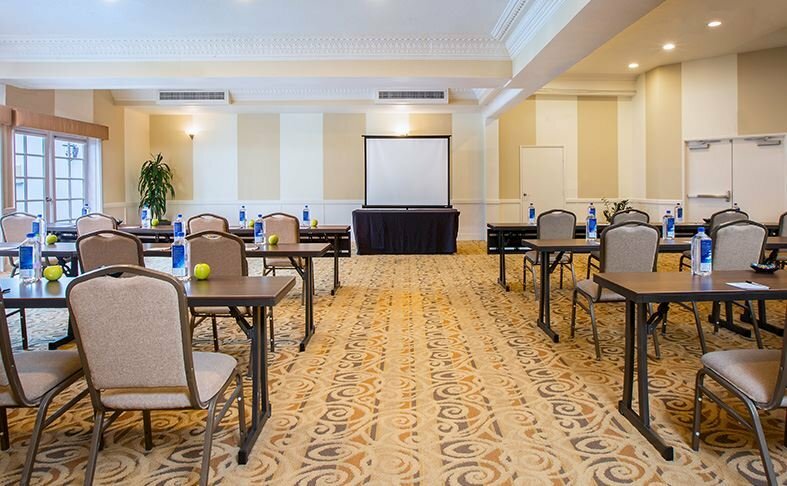 So whether you're planning an important board presentation, intense gaming session or anything else, this space is the ideal destination for small to medium-size groups of up to 35 guests. There's nothing standard about this 1,320-square-foot space. From the life-size chess and checkerboard floor - complete with playing pieces - to the overhead drapes that look like clouds, this is the perfect spot to escape the daily grind and create your own whimsical reality in a dreamy outdoor setting.